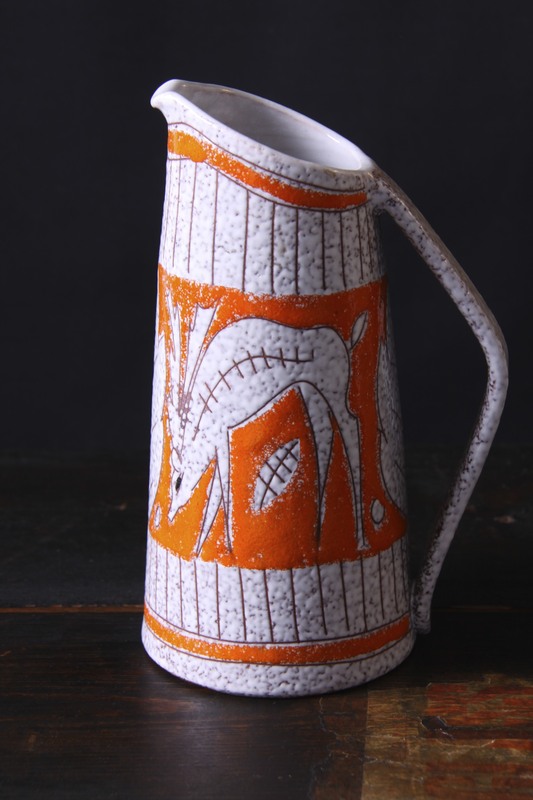 This is a Beautiful pottery jug / handled vase, made by Fratelli Fanciullacci, Italy circa late 1950’s / 60’s. A Stunning form and decor, the tapered body has a great angled rim and angular handle, very reminiscent of the era. 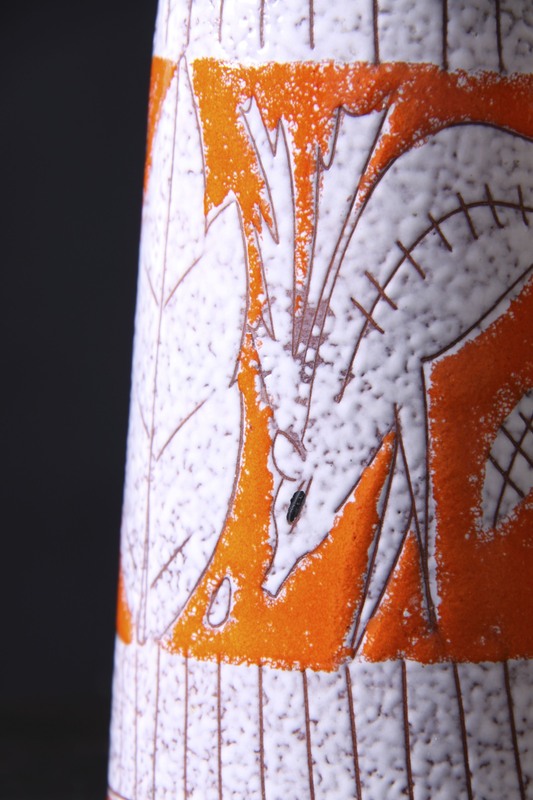 The glossy white spray-glaze has a mottled texture, and has been decorated using the sgraffito technique with motifs of deer and leaves, with bright bands of glossy orange glaze. This form and decor can be seen on p.113 / 115 of Mark Hill’s ‘Alla Moda’ Italian Ceramics book. Would make a great addition to any collection of Italian, European or Mid Century pottery, and would complement any retro, vintage, 1950’s, 60’s, mid century, modernist, minimal or contemporary interior. Hand painted mark to the base 7437 Italy. Measures 19.5 x 12 x 9.5cm / 7.75 x 4.75 x 3.75in.